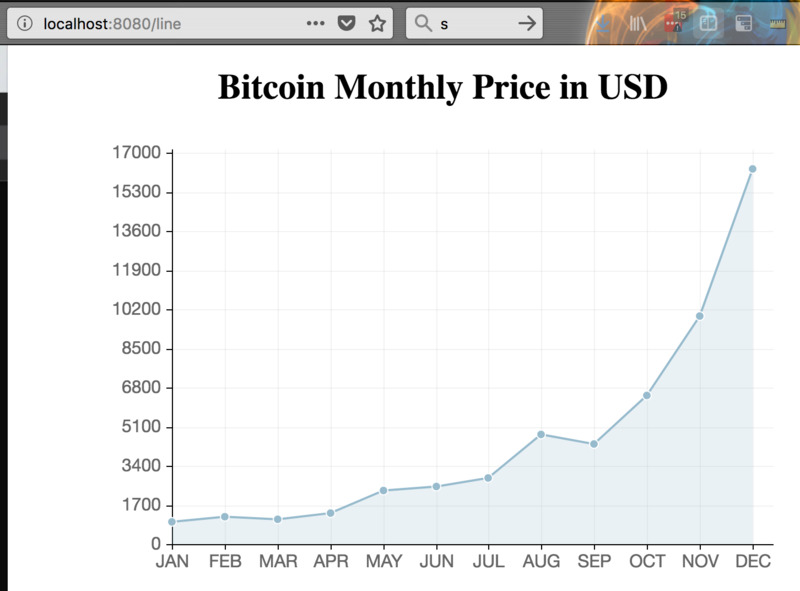 I am a big sucker for Charts and Graphs, and today I found one awesome library called Chart.js, which we will use with Python Flask Web Framework, to graph our data. 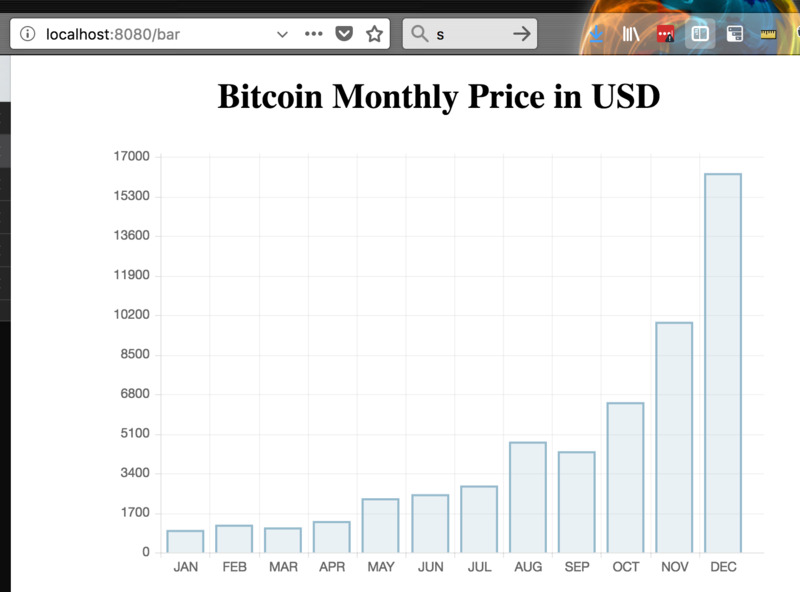 As Bitcoin is doing so well, I decided to graph the monthly Bitcoin price from January up until now. We need the Chart.js library, but I will use the CDN version, in my html.